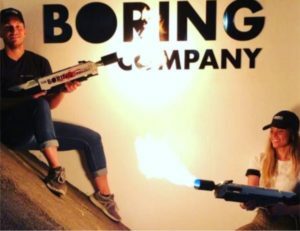 Elon Musk's The Boring Company Just Sold 20,000 Portable Flamethrowers. Elon Musk's the boring company which goal is to develop a network of tunnels underneath major cities and uses electric sleds to ferry cars from one point to another just sold 20,000 flame throwers with the company's logo slapped across it. Sold at 500 US Dollars a pop, that made the company 10 million dollars in sales from their launch last Saturday. The flamethrower also comes with a complementary "The Boring Company Fire Extinguishers" to each and every who bought the flame throwers. 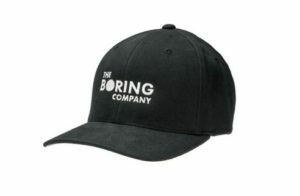 The Boring Company has also sold other merchandise before such as a baseball cap with the company's logo. The flamethrowers are slated to be shipped in the spring in the United States. I for one an looking if we can get some of the flame throwers here in the Philippines. It might not serve any practical use, but it will sure be hella fun owning one. When the zombie apocalypse comes i will have a flamethrower ready.